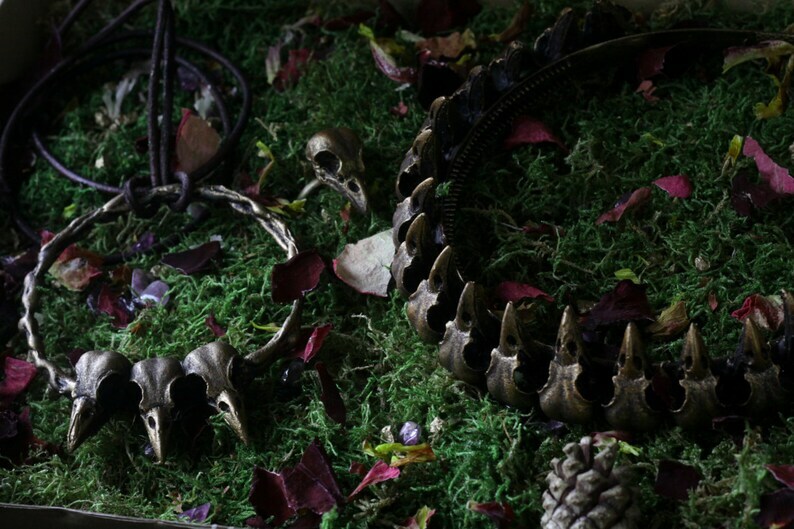 For this Months Macabre Monthly Online Market on Facebook I put together a few of my most favourited products. Every piece is molded and handpainted. The Boxes are made to order and available in different metal styles. Only on March 1st for a very special prize. Sehr schöner Artikel. Ich werde auf jeden Fall regelmäßig in dem Shop vorbeigucken und gerne erneut bestellen. Die Post machte es uns zunächst nicht leicht....Aber Sarah sendete mir die Bestellung auf eigene Kosten noch einmal zu. Nun bin ich super glücklich! Schon beim Öffnen des Päckchens kann man sehen mit wie viel Liebe Sarah die Schmuckstücke fertigt und verpackt. Vielen Dank! I weard it on a larp convention because it fits my character and I'm an huge fan of it! It looks really great and is a littlebit flexible too. It arrived in a really beautiful packed box and I love it! Thank you very much for all the great work on this peaces of jewellery!